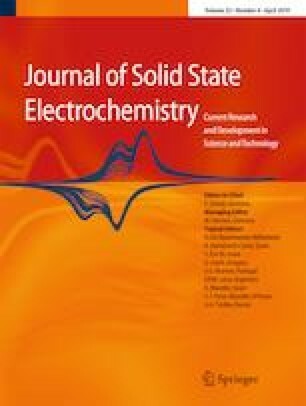 A novel electrochemical sensor for paraquat (PQ) detection based on molecularly imprinted polymer (MIP) membranes on a glassy carbon electrode (GCE) modified with Au nanocrosses-chitosan (AuNCs-CS) was constructed. P-Aminothiophenol (p-ATP) and 4,4′-bipyridine template were assembled on the surface of the modified GCE by the formation of Au–S bonds and hydrogen-bonding interactions, followed by polymer membrane formation by the electropolymerization in a polymer solution containing p-ATP, HAuCl4, tetrabutylammonium perchlorate (TBAP), and the template molecule 4,4′-bipyridine. The as-constructed molecularly imprinted sensor (MIP-AuNC-CS) was characterized by differential pulse voltammetry (DPV), transmission electron microscopy (TEM), and scanning electron microscopy (SEM). This is the first time that molecularly imprinted polymer technology has been integrated with a modified AuNCs-CS to electrochemically detect PQ. The linear response of the MIP-AuNC-CS sensor was in the range from 1 × 10−14 to 1 × 10−10 mol L−1, and the limit of detection was 2.3 × 10−15 mol L−1. This sensor showed high-speed real-time detection capability, low sample consumption, high sensitivity, low interference, and good stability characteristics, and was proven to detect PQ. The online version of this article ( https://doi.org/10.1007/s10008-018-04192-3) contains supplementary material, which is available to authorized users. This work has been supported by the National Research Program of China (CX173007) and the National First-class Discipline Program of Food Science and Technology (No. JUFSTR20180303).